I am soooo EXCITED for our Color Revamp! I am sure that you have seen information around the internet so I wanted to put it all together for you in one place. 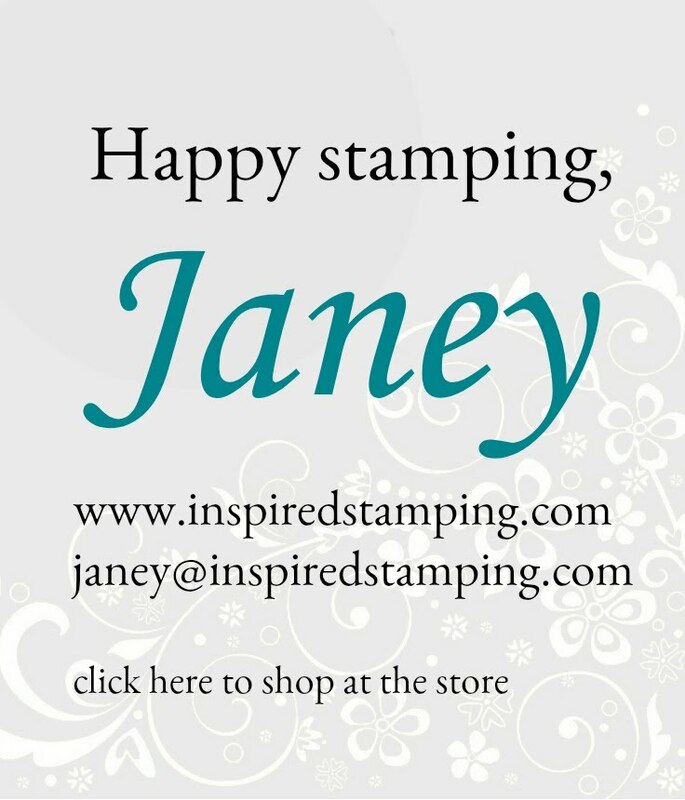 Ordering starts on Friday June 1st at noon MST. 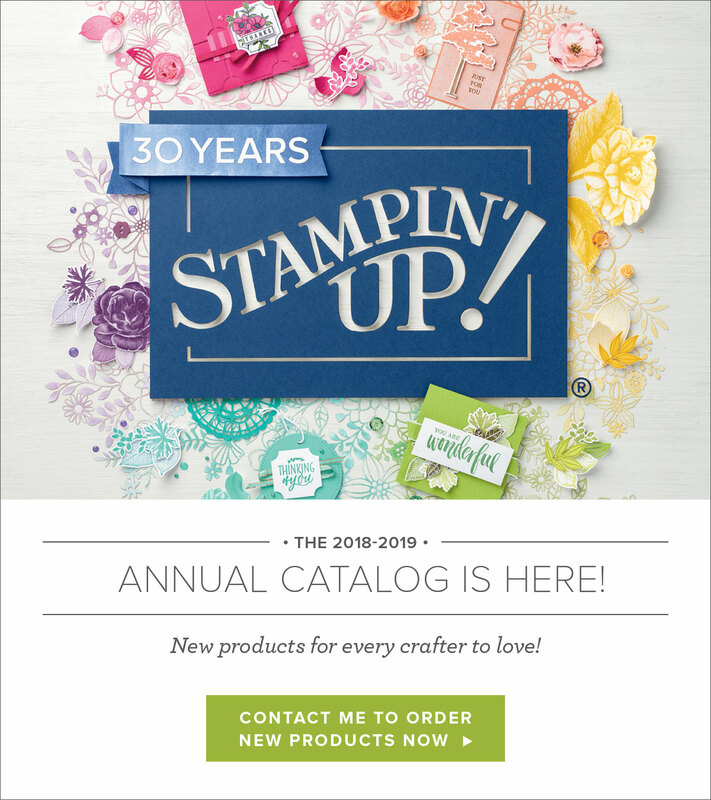 • Colors will be updated in the 2018-2019 annual catalog. • No changes have been made to core color offering since 2013. • Our plan is to update colors every three to five years. 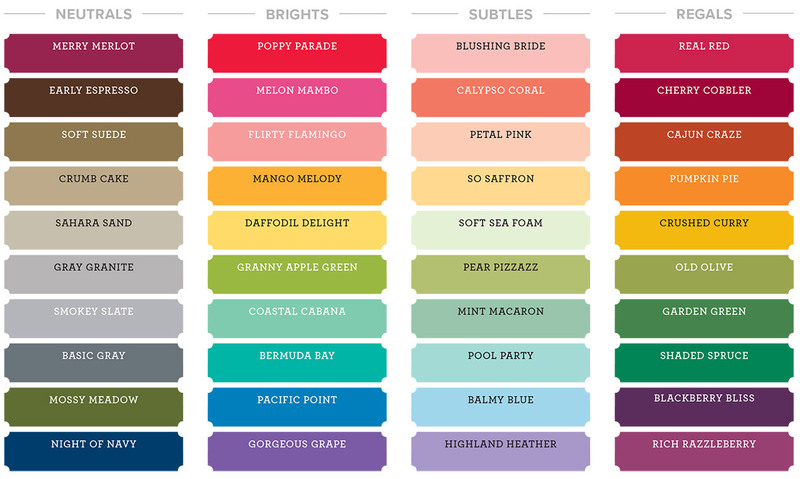 • When we change many of the core colors, we’ll call it a color revamp. When we change a few core colors, we’ll call it a color refresh. • Our In Color offering will follow the same process: We’ll continue to introduce five new In Colors each year that are available for two years. 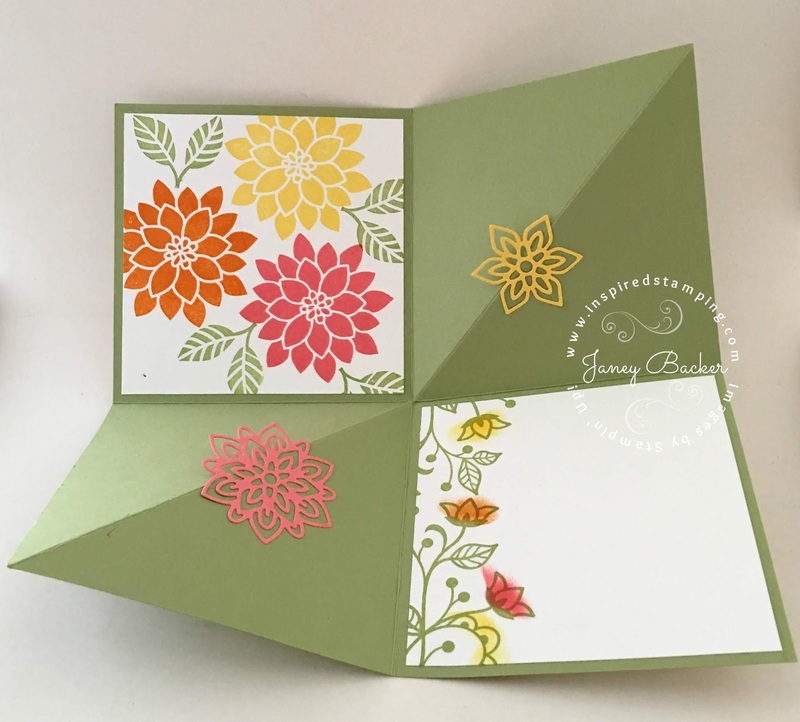 The five existing In Colors from 2017-2019 will remain in our color offering. With this color revamp, we’re also introducing five new 2018-2020 In Colors. Color Revamp - see it here. Explore the stunning beauty of the Graceful Glass suite in this video. Featuring patterned vellum and gothic-style fonts, you can use different coloring tools to create completely unique looks. This suite will be available for everyone beginning June 1. Good news! 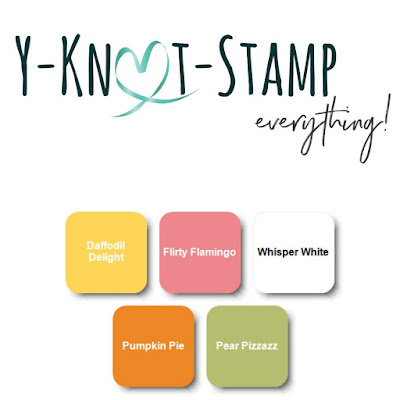 All of our current colors of Stampin’ Blends are in stock and available for purchase here. Be sure to get your Pink Pirouette light and dark Blends before they retire May 31st and will be gone! 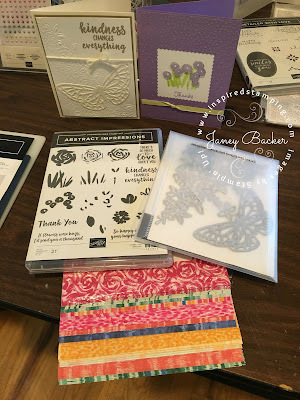 My VIP Catalog Launch was a fun event. We made bookmarks to celebrate the new 2018-2020 In Colors. They stamped, punched card stock and added a squiggle from each marker. 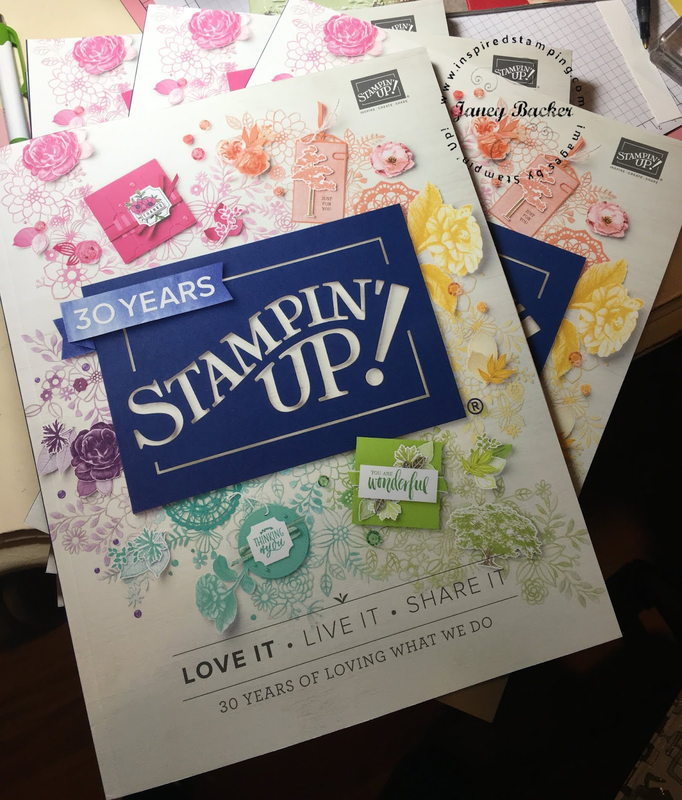 I think everyone was excited to get their hands on their very own catalog! I shared my recent team swaps on my display board. 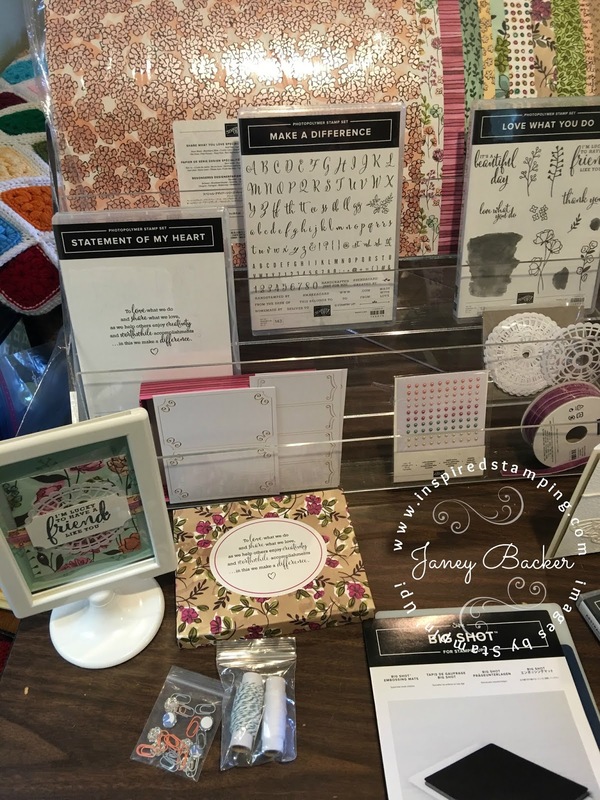 I displayed several of our new product suites. This is our Nature's Poem suite. Our Delightfully Detailed suite has exquisite laser cut Delightfully Detailed designer series paper. The Memories and More card pack is on my display board. 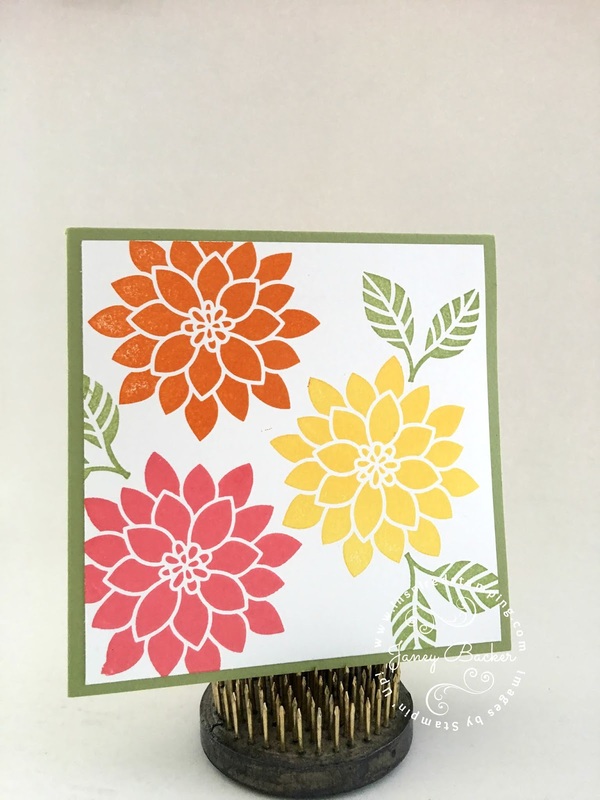 There is so many colors and fun designs in this card pack. Several creative new stamp sets. 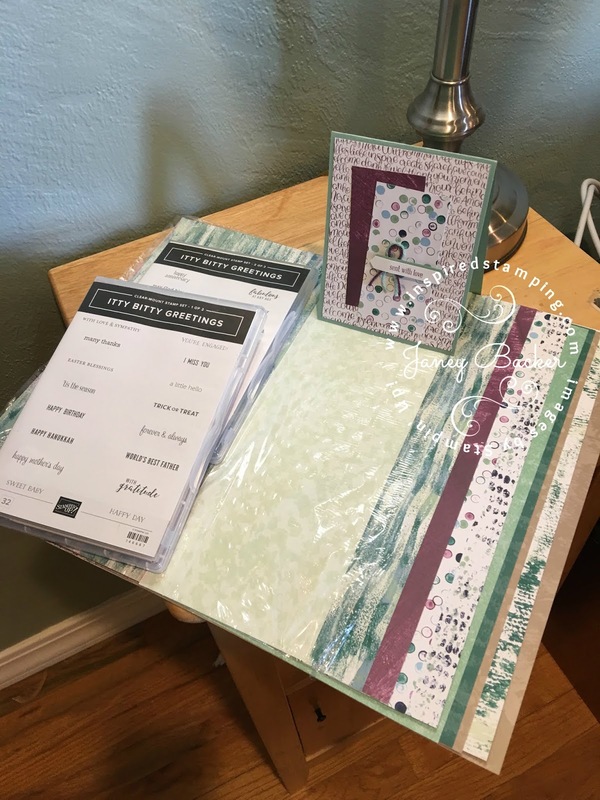 Our Abstract Impressions bundle is part of our Garden Impressions suite. 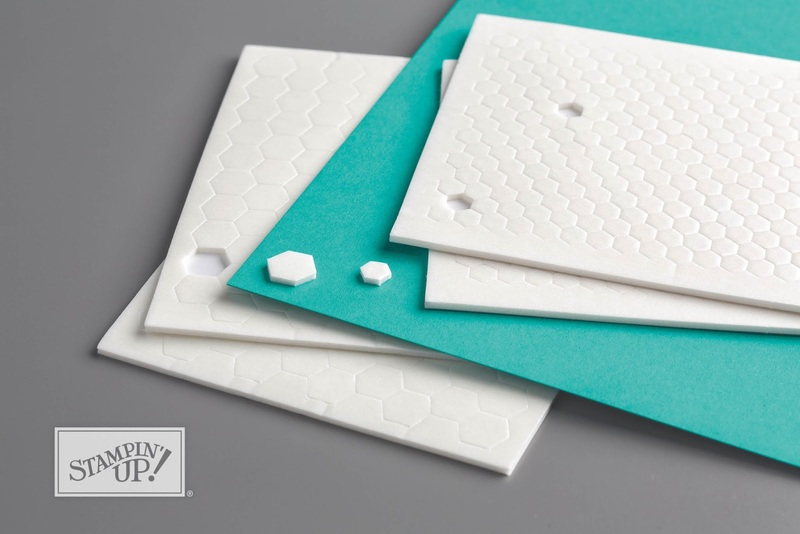 This suite has inspired so many ideas - I am really excited to create more projects with it and our new embossing mats! Over here I shared the new Itty Bitty Greetings stamps and our Tranquil Textures Designer Series paper. 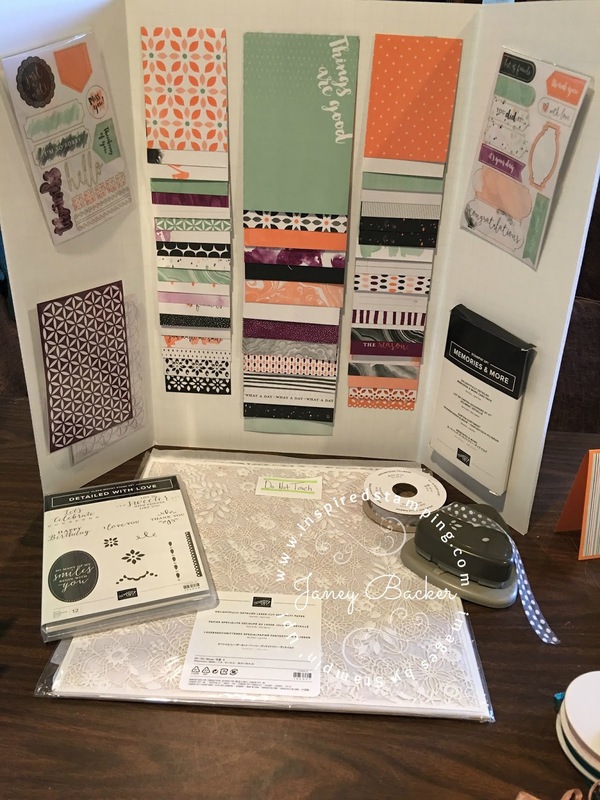 My favorite is the Share What You Love suite. The pearl effects on the Share What You Love Designer Series Paper is gorgeous. The Rich Razzleberry velvet ribbon is so soft. Our Artisan Pearls are beautiful and the Lovely Floral embossing folder is stunning. Plus we have pearlized doilies and three coordinating stamp sets! I hope you will contact me for your new 2018-2019 Annual Catalog. Ordering starts on June 1st at noon MST. 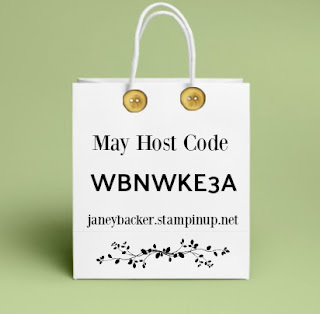 If you place an order of $75-$149.99 by May 28th, with the host code above, you will receive a package of Mini Dimensionals, an appreciation gift from me. Welcome! 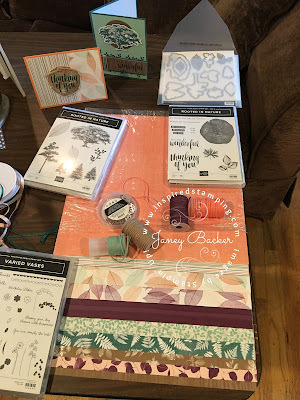 I recently participate in a fun color challenge. 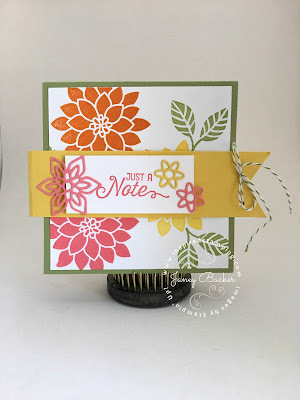 I had so much fun making this smash card project with the Flourishing Phrases stamps. Our challenge was to use the above colors. 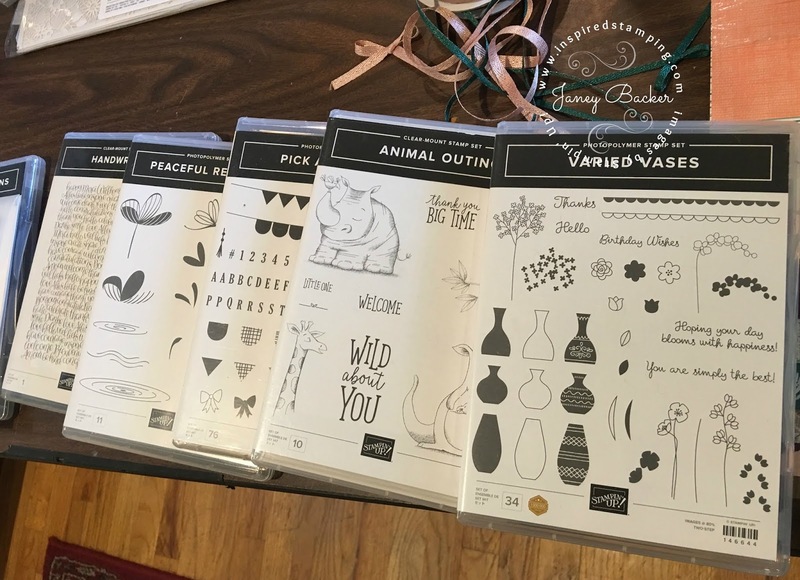 Aren't they fresh and fun for spring time flowers? 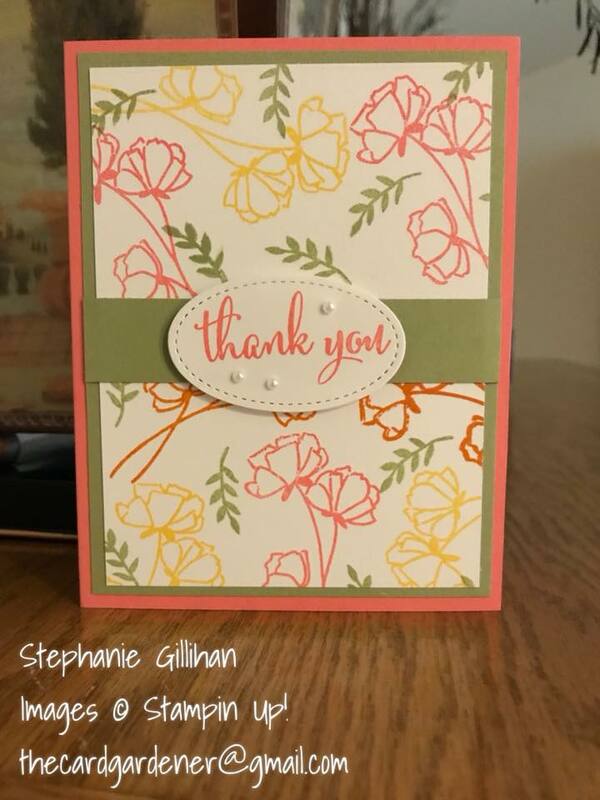 I put my favorite Flourishing Phrases filigree stamp on the back design. This is the back of the card and belly band enclosure. Here is the front with the belly band removed. 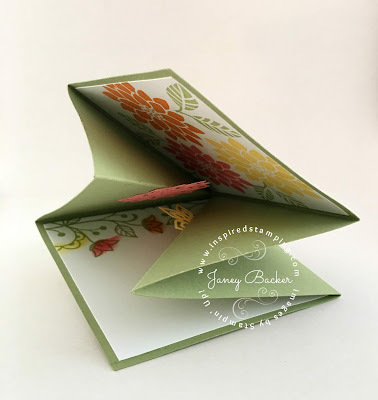 My flower frog nicely held the card up and closed for the photos. 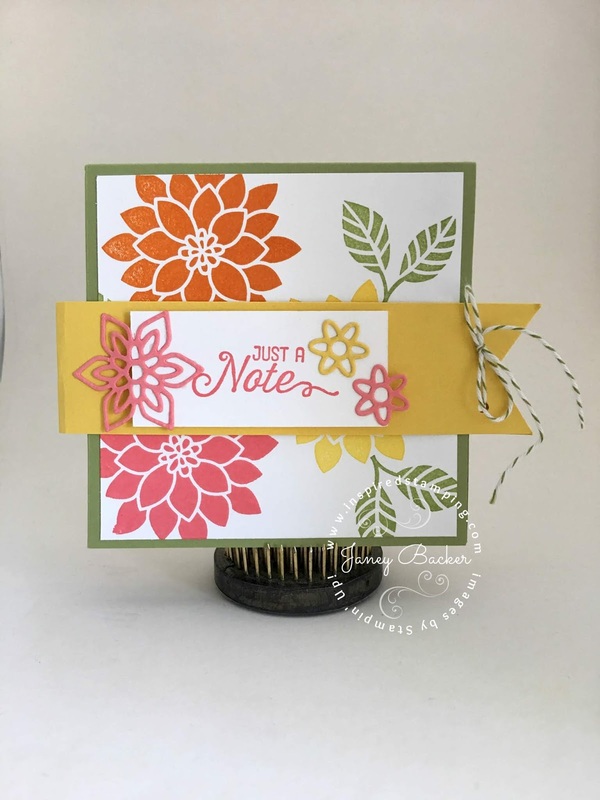 The large flower in Flourishing Phrases remind me of chrysanthemums. 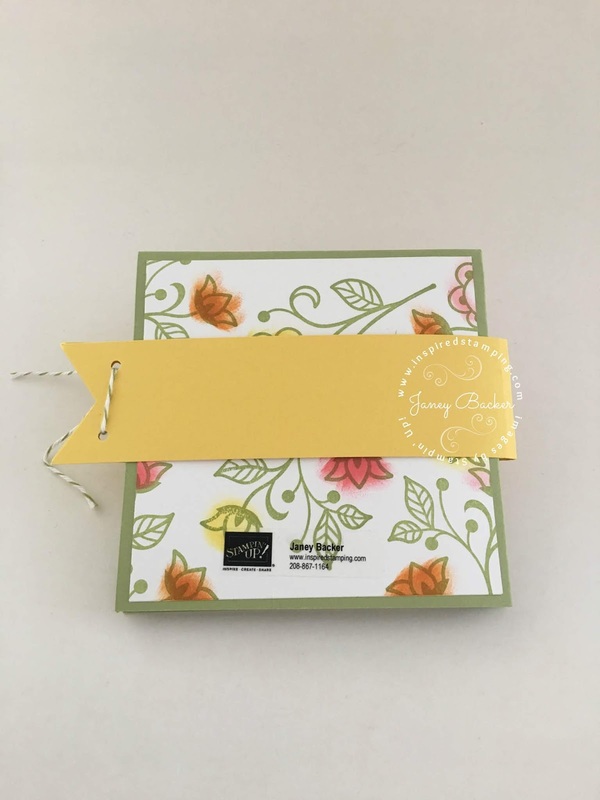 Here is the back of the card with the belly band removed. 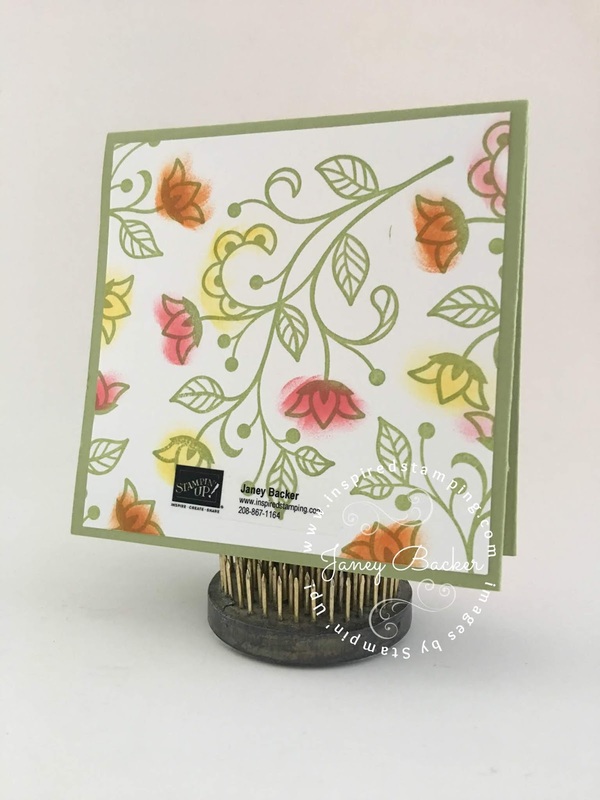 I used sponge daubers to create a smudge of color for each flower on the filigree. 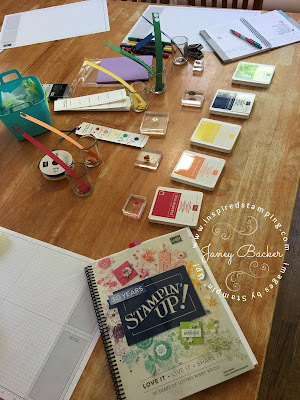 You can see a full list of my project supplies at the end of this post. 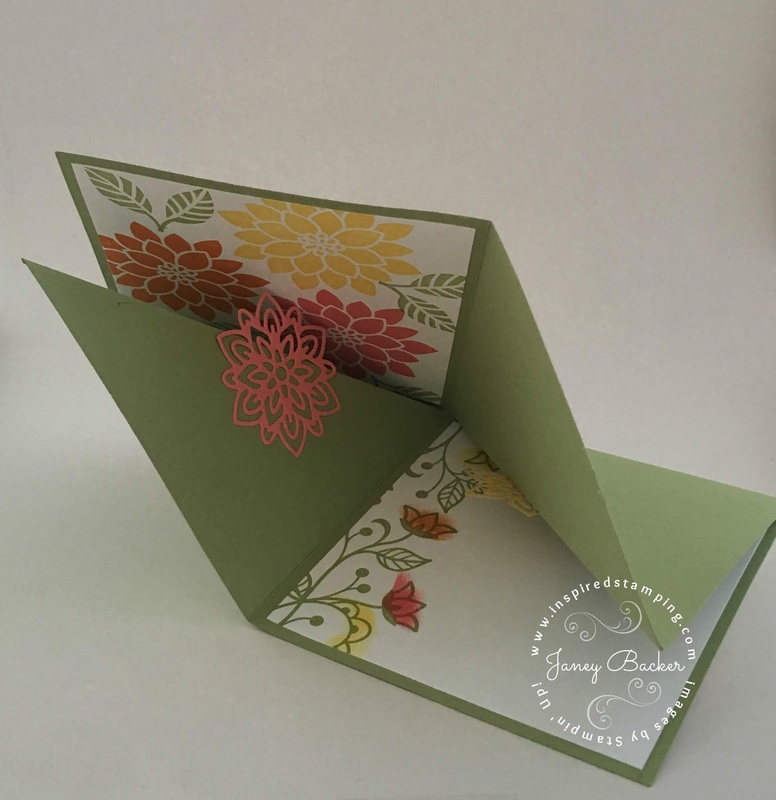 Here is the card as the folds start to open. 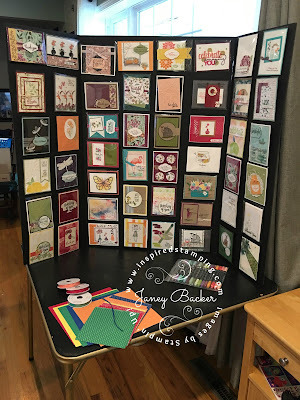 I learned this smash card technique from Lyssa Zwolanek's website. This design was my technique lesson for my stamp club - they loved it! I attached die cut flowers halfway on each of the "smashed in" folds. You can see they are carefully layered into the folds, and open up very easily. The card is opening further to show the beautiful peeks of color and interesting folds. This is the card opened nearly flat. 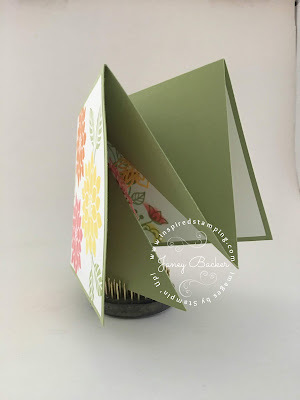 The die cut flowers lay nicely as they float over the other half of the folds. You can write your note on the lower portion and the top portion is stamped identical to the front. I hope you like my smash card project and how I used the color challenge to design with this technique. Now I have several charming cards to share with you from my teammates that participated. 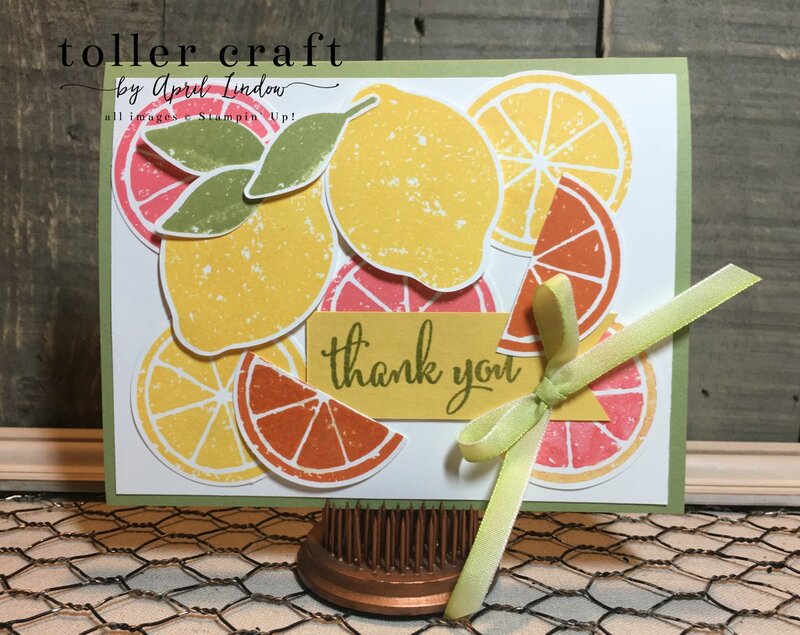 April used the Lemon Zest bundle for her citrusy card. 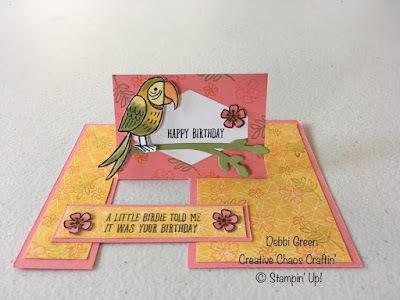 Bird Banter is tropical perfection in Debbie's card. 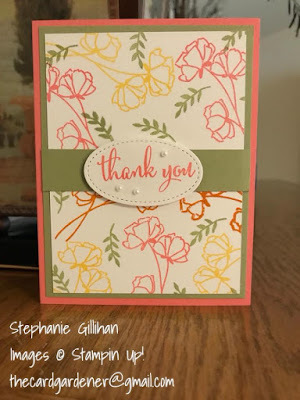 Stephanie's Share What You Love stamps made a pretty design. 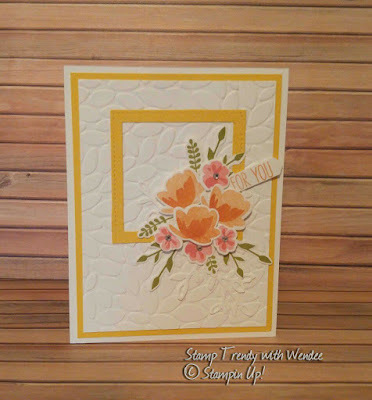 The every popular Jar of Love flowers made a sweet bouquet in Wendee's design. 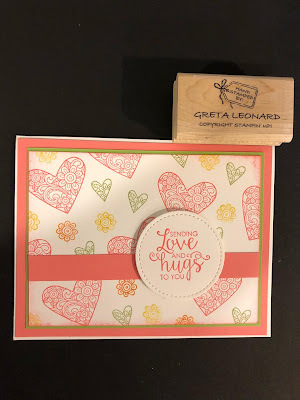 Greta's Ribbon of Courage stamps made an encouraging card design. There were so many wonderful designs made by our team for this color challenge. 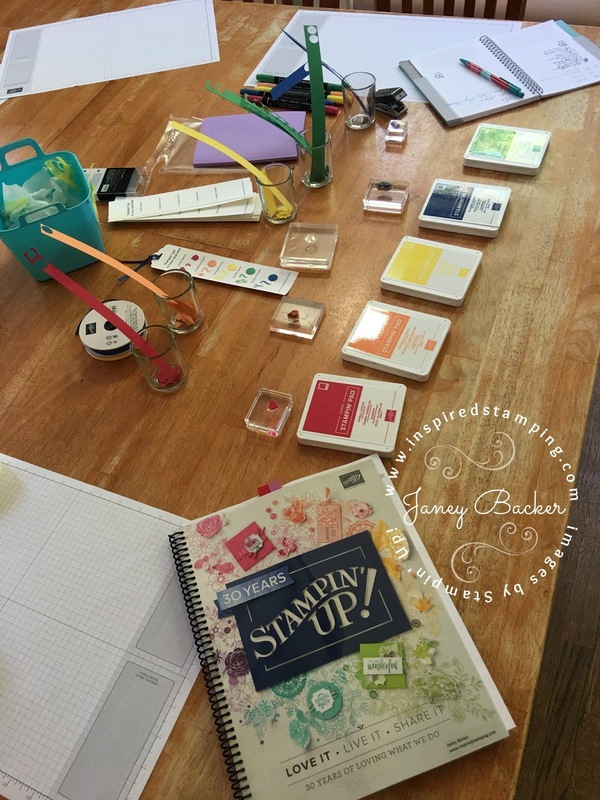 Isn't all of this creativity inspiring? 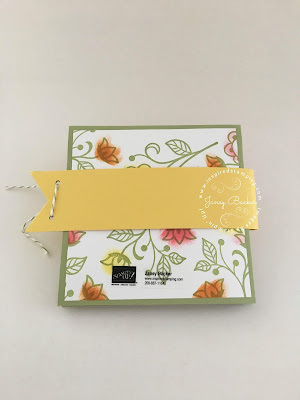 I hope you will use our ideas to make cards with this color combination or CASE (copy and share everything) what we have designed. 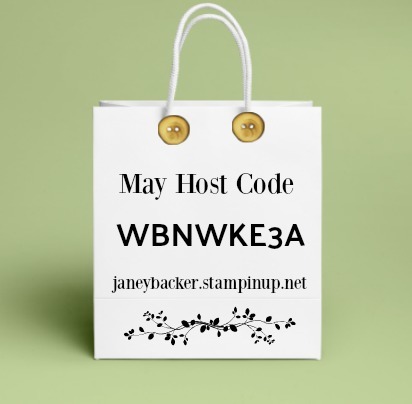 Click on the Join My Team tab above if you would like to join this fun with our team.